Home » Hairloss Restoration Guides/Books » The ARTAS® System » The ARTAS® System Review – Will There Hair Transplant System Leave up to Their Claims? Read Complete Information Here! 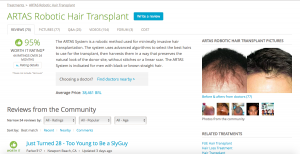 The ARTAS® System Review – Will There Hair Transplant System Leave up to Their Claims? Read Complete Information Here! During my search in different internet directories, I came across The ARTAS® System which claims to give permanent solution to hair loss by employing hair restoration robotics. Hair loss (a common condition affecting people of all ages) can be emotionally traumatizing to people who suffer from it. Studies have shown that about 35 million men suffer from hair loss and a larger population of them (two-thirds) experience noticeable hair loss at 35. For a fact, most medications and/or supplements marketed in the internet prevent this condition and to an extent make the hair look healthier. They usually do not proffer permanent solution to hair loss. I have always assumed that there are permanent solutions to hair loss. One may want to know the science behind The ARTAS® System hair restoration approach; the reason why we should patiently read all the information in this independent review. Keep track in the review! What is The ARTAS® System? The ARTAS® System fully referred to as the ARTAS® Robotic Hair Transplant System is marketed as an FDA-cleared, physician-assisted technology designed to address hair loss. 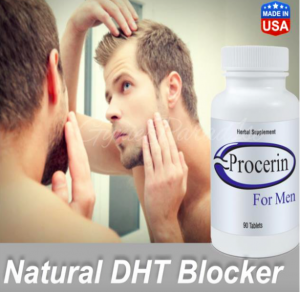 According to the manufacturer, it provides permanent, natural looking results without the plugs, pain and stitches associated with traditional hair transplant methods such as strip surgery. ARTAS® Robotic Hair Transplant System is said to be a minimally invasive procedure and should not leave a linear scar, therefore giving customers the freedom to cut and style their hair the way they like without having to hide a scar. It is said to be virtually pain free as a local anesthetic is usually given to patients under the procedure. The procedure should take about 4-8 hours. The system owner mentions that trimming of the hair in the donor area allows the their robotic system to accurately visualize, track and harvest each grouping of hairs. Transplanted hair are said to grow naturally in phases as new hairs should appear three (3) months after the procedure. It seems the ARTAS® group has more details with proofs of their hair restoration system. In line with the information provided in the official website of the system owner, The ARTAS® System from Restoration Robotics is indicated for harvesting hair follicles from the scalp in men diagnosed with androgenetic alopecia (male pattern hair loss) who possess black or brown straight hair. According to them, it is intended to assist physicians in identifying and extracting hair follicular units from the scalp during hair transplantation. The ARTAS hair restoration system is also used for creating recipient sites for subsequent manual implantation of the harvested follicles. The ARTAS Robotic Procedure promotes to be a minimally invasive hair restoration solution that leverages on digital imaging and precision robotics to harvest healthy grafts for transplantation. And the Hair Transplant procedure is said done by using the subject’s own permanent growing hair, usually from the back of the head. The physician then implants this hair to the thinning areas of the scalp. This system is said to be different from other hair restoration methods in that it does not require the surgical removal of a band of tissue from the back and sides of the head and the use of stitches or staples to close the wound. On the other hand, The ARTAS Robotic Procedure should not leave any linear scar in the hair. In line with the discoverer’s description of the procedure, individual on which it is done will have an added benefit of quick recovery and the ability to return to normal activities and work faster. 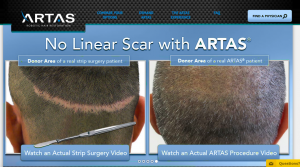 The manufacturer mentions that no stitches or linear scar is associated with the ARTAS Robotic Hair Transplant Procedure. They should identify and select the customer’s best hairs for harvesting. It is said to deliver high quality robust grafts. They state to utilize digital mapping which provides precise and consistent graft dissection unlike those seen with manual techniques. ARTAS® Robotic Hair Transplant System should ensure consistent graft quality throughout the transplantation procedure. It should allow us get back to work and our daily activities quickly. ARTAS® Robotic Hair Transplant System is said to be virtually pain free with no known side effects. The system owners have provided links to help customers find a nearest its location. They state to protect the privacy of their customers. Also, we can use their methods and/or website without disclosing our personal information. This does not really matter to me, anyway. 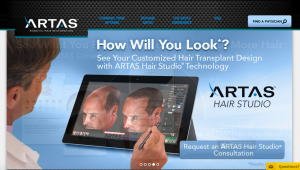 They have the ARTAS® Hair App for the digital consultation request and patient education. They seem to offer free guide about hair loss and other experiences associated with the condition as well as treatment options. Customers can get in touch with them through the different channels provided in their official website. ARTAS® Robotic Hair Transplant System as we have seen claims to be the first and only robotic hair transplantation system. Looking at and evaluating the whole details about the system, permit me to say that the system is an organized one. In an effort to see whether there are proofs that the system works, I came across some reviews about the system. It was given a 95% rating in one of the review websites (www.realself.com/artas). More so, ARTAS® Robotic Hair Transplant System is said to be developed with leading hair transplant physicians and researchers using the state-of-the-art technology. This seems to be true from my evaluations. The fact that there will be no scarring, complications and downtime seen with invasive surgical techniques with this system adds to its credibility. The system owners promote to have the patients in mind and their presentation of facts confirmed this. There is as well before and after pictures of previous customers. In my opinion, I will comment that ARTAS® Robotic Hair Transplant System may achieve a desired hair look, if you’re really looking to that road for a hair transplant procedure done. Others like myself who don’t have a high budget may not afford it, which there are also other hair loss solutions out there that will cause new hair growth from using/following the instructions daily as directed. 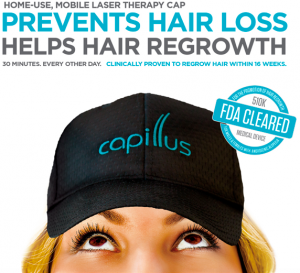 I personally would to take a quick look at the Capillus82 system, which is a laser cap to use for a few minutes daily and get the best of new hair growth cycle from the laser system. 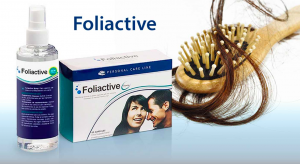 It promotes to hair loss and re-growth new hair. See Capillus82 Cap laser system here! Do kindly drop your comments right underneath this review! I will make sure to respond to you! 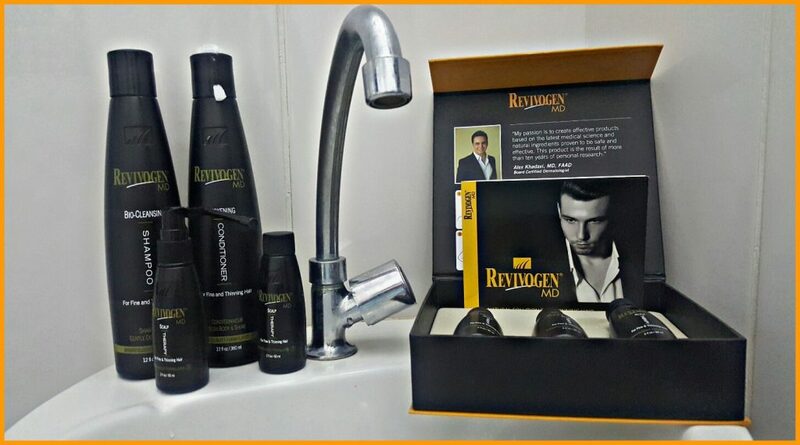 Previous Post Rapid Hair Growth System Review – Is This Worth It’s Claims? Read Here for Details! Next Post Miami Hair Institute Review – Can These Hair Procedures Help Restore Hair? See Details Inside!